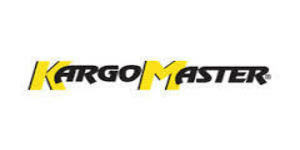 Our highly trained employees, state-of-the-art computerized equipment, and strident quality control systems guarantee that Kargo Master Products are second to none. All of our products are designed to be supremely functional. Kargo Master offers an unsurpassed selection of time-saving accessories for our truck, van, and Jeep/SUV racks. If you are in the market for a rack, please shop around and compare quality and cost. You will realize that the quality of our rack systems surpasses all. Thank you for your interest in Kargo Master products.